The thing I love about crocus is they are the first flower to pop up after winter. 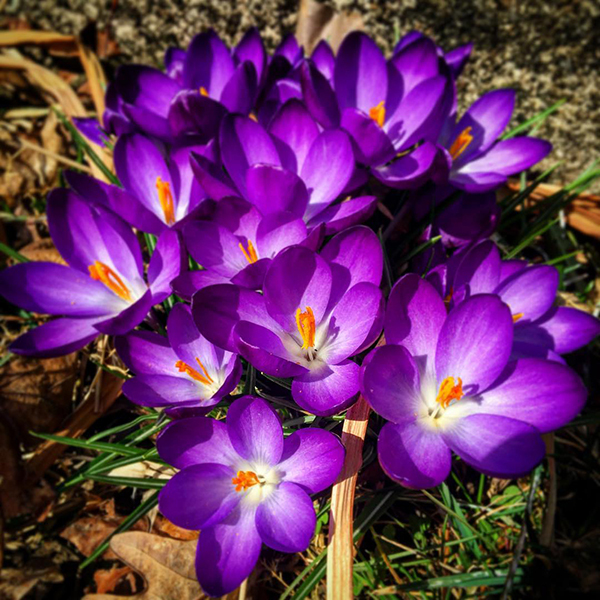 (Is the plural of crocus, croci?!) They push through piles of dead leaves and cruddy brown leftovers from last autumn with their cheery petals. You can be assured that soon after the crocus you will see the daffodils, then hyacynth and then the tulips. 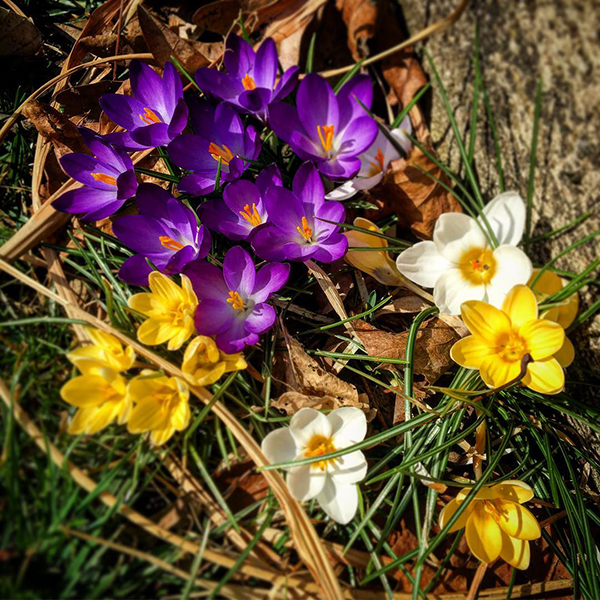 When you see them and robins hopping around the yard, you know spring is on it's way!